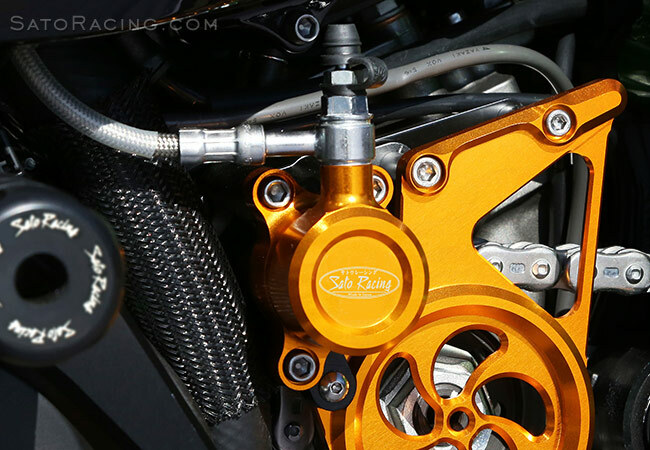 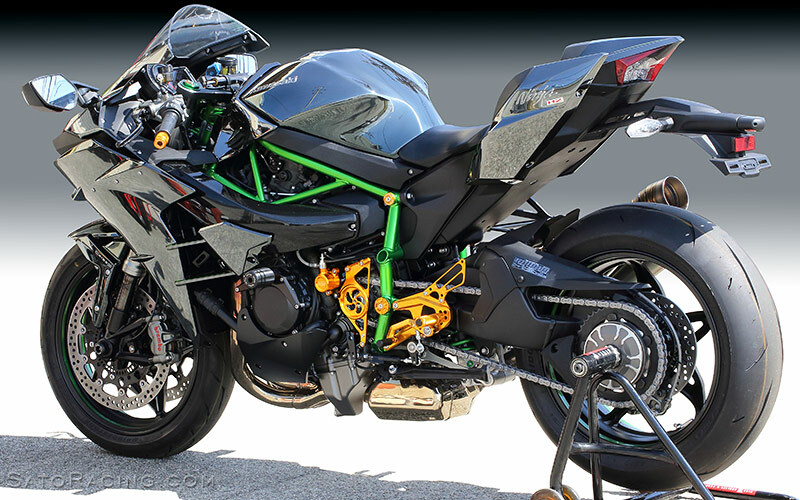 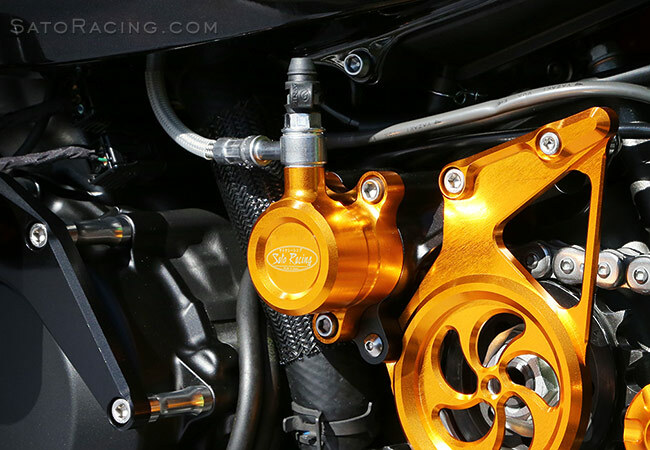 SATO RACING Clutch Slave Cylinder for 2015 and up Kawasaki Ninja H2 and H2 SX features a larger bore compared to stock, for a lighter clutch feel and more precise clutch engagement/disengagement. 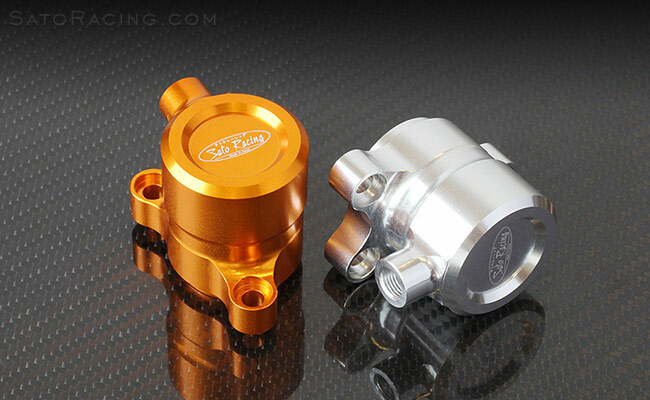 CNC-machined out of high strength billet aluminum in your choice of Silver (clear metal) or vivid Gold anodized finish. 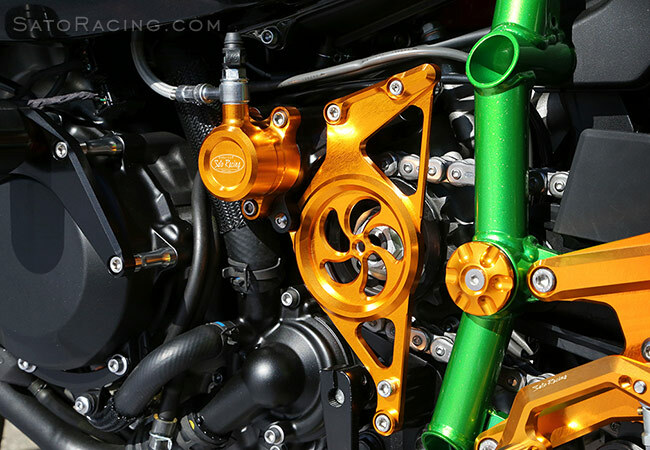 (Includes copper gaskets).